any reduction in numbers must be advised at least 2 weeks prior to arrival. 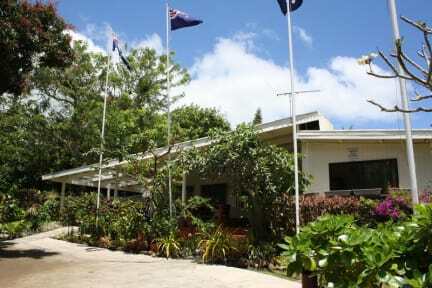 Tiare Village is right in the heart of the wonderful island of Rarotonga, Cook Islands. We have a reputation with travellers and tourists alike for being a friendly, cozy, clean, and comfortable establishment. 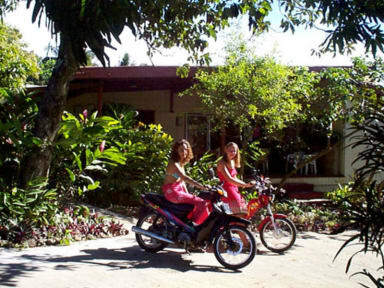 Tiare Village provides single rooms - twin - double rooms and self contained pool units. We are nestled in the secluded wooded hills of Rarotonga, approx 2.5 kilometers from the main town on the inland road, north side of the island. Tiare Village is convenient for the airport, shopping, banks, markets, nightlife, and is just a few minutes away from the Cross Island Walk and the beach in Nikao. A garden and verandah is adjacent to the lounge and is a popular place to read, meet, and socialize with other guests and enjoy the Rarotonga Weather. Also a BBQ and swimming pool are available for your use. We pride ourselves on being friendly and providing a homely atmosphere. Fresh fruit (pawpaw, bananas, mangoes, avocados, guavas, and chillies) can be picked fresh from the trees in our garden when in season. General: Free parking, activity information, iron/ironing board, BBQ area, office safe, all rooms have own lock.